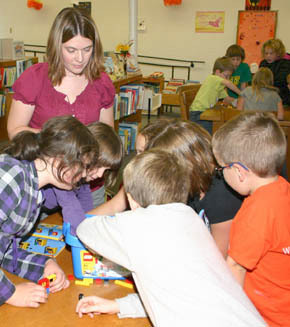 Albion Public Library had a big turnout for its first ‘Lego® Library’ event Monday afternoon, Oct. 8. Nearly 30 children were encouraged to use their creativity in the after-school event. They were divided into groups to build Lego® structures. The Lego® Library will be an on-going monthly activity at the library.